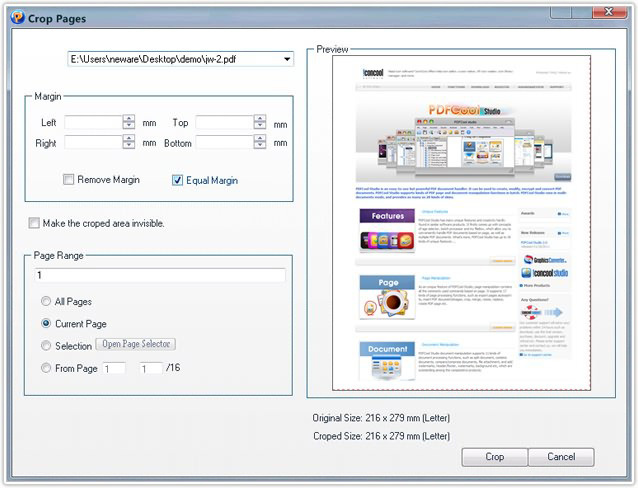 PDFCool Studio allows the user to adjust the crop box. Documents can be cropped by using the Crop Pages dialog, and the units can be specified in millimeters. Cropping can be applied to a single page, a range of pages, or all pages. 5. Click on the Crop button.